This Spacious 2700 S/F Home On A Spacious Lot Will Back Up To An Additional Green Space Buffer On The Beautiful TPC Golf Course Which Runs Through Prince Creek's Prestigious Gated Highwood Community. This Home Truly Invites Comparisons...With An Attractive Combination of Size, Quality & Price! The Open Floor Plan Boasts a Great Room With 12' Ceilings & Gas Fireplace. The Eat-in Kitchen Features A Work Island With Granite Countertops & Built-In Tabletop. Additional Spaces Include The 11x10 Office, PLUS a Spacious 400 S/F Bonus Room Over The Garage. The Generous Sized Master Suite Comes With A 13x7 Walk-In Closet, Separate Shower & Garden Tub. A Separate Laundry Room With Lockers Is Conveniently Located Just Inside From The Over Sized 2-Car Side-Load Garage. 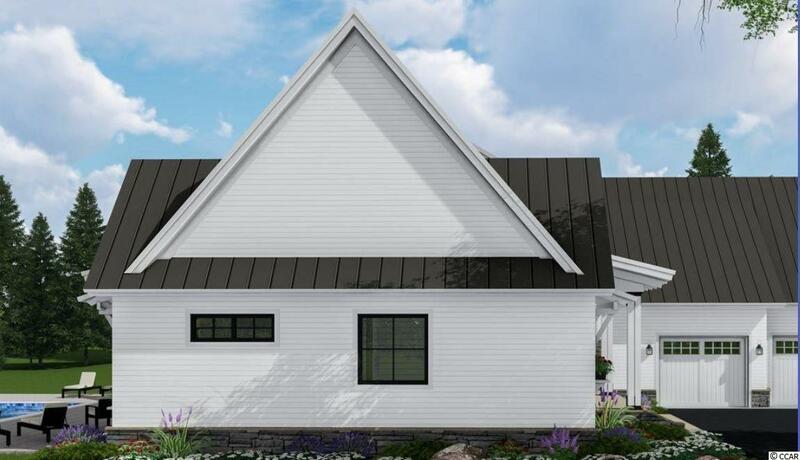 This Custom Home Will Be Skillfully Crafted By An Established Prince Creek Builder Who Welcomes Further Customization On This Proposed Plan. One of the Premiere Neighborhoods on SC's magnificent Grand Strand, Highwood is Situated only a Few Short Miles from Some of the Most Beautiful White Sand Beaches On The East Coast And Is A Short Distance From The Marshwalk, Which Is The Seafood Capital of SC As Well As Grookgreen Gardens, Huntington Beach State Park & All The Attractions of Myrtle Beach. Highwood Also Offers Its Residents An Outdoor Pool, Clubhouse, Lighted Tennis Courts and Walking Paths. Photos Are Graphic Renderings, Pool, Metal Roof, Stacked Stone are Upgrades, And Are Subject To High Wood ARB Restrictions. Prices May Fluctuate Based on Building Materials Cost. Measurements & Sq. Footage Approximate and to be Verified by Buyer.